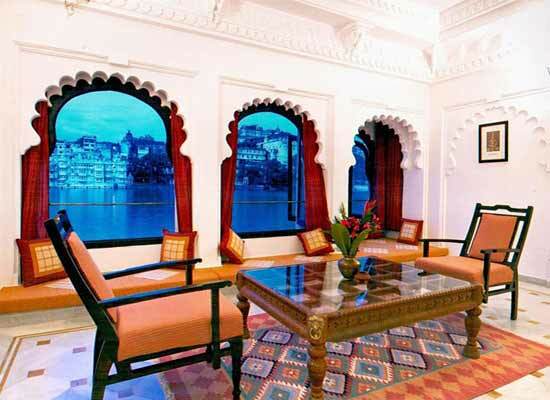 "One of the finest heritage hotels in the Udaipur city, Hotel Amet Haveli is located on a corner of Lake Pichola and boasts of providing comfortable stay and excellent services to its guests. 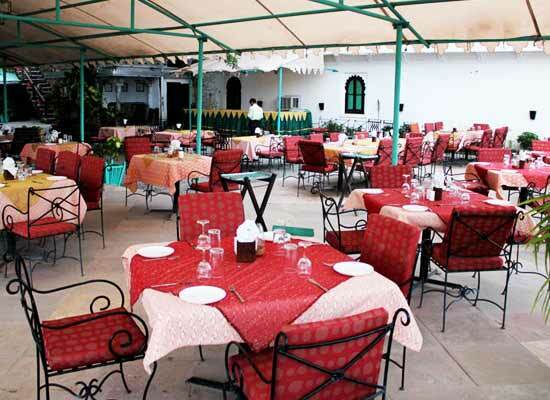 Located outside Chandpole, Amet Haveli is also known to provide personalized service and warm hospitality to its guests. The Amet Haveli was built during the rule of Maharana Jagat Singh Ji II of Udaipur between 1734 -1752. The Jagirdar of Sadargarh was the head of the construction work for the Mewar state. Under his watchful eyes he constructed the Jag Niwas island palace. After the successful completion, a lot of stone and raw materials were left, so, with the permission and finances of the Maharana, the Jagirdar of Sardargarh constructed the Amet Haveli. The Amet haveli after passing down many hands was gifted to the family ofRawat Govind Singhji. Till date they are the owners of the marvelous place. 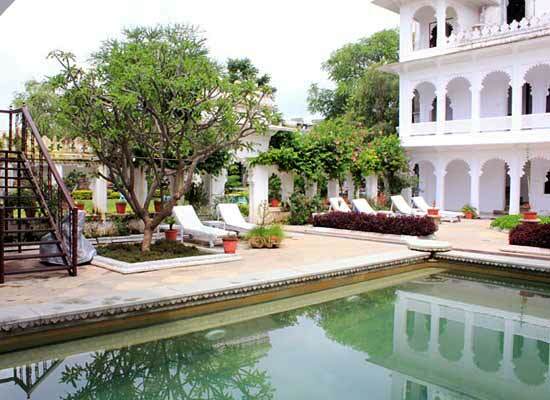 The haveli is now one of the finest heritage places to stay in Udaipur. The hotel has 20 Rooms. The rooms are divided into Deluxe Rooms and Suites. Each room is comfortably elegant re-creating the charm of the regal era of Rajputs. Each room opens to the breathtaking view of Pichola Lake and the Aravali hills in the horizon. The deluxe rooms are available in options of a king-size bed and twin beds. The rooms have traditional furniture which created impeccable lodgings. Guests are treated to a range of amenities. The attached washrooms add comfort to your stay. The interiors recreate the glorious time of Rajputs. Suites are available in options of king-size bed. The beautiful décor makes you feel like a royal. Furniture are in antique some as old as the haveli. Guests are offered a range of luxury amenities. Enjoy comfort of attached washrooms. 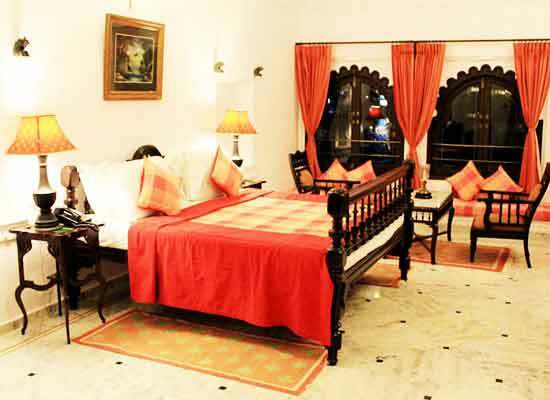 Experience pleasures of comfort and opulence like royalty in the suites of the Amet Haveli. 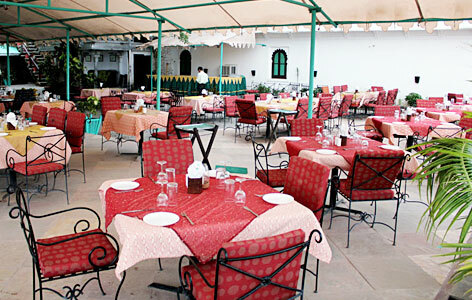 Beautifully located under the trees beside the lake is the Ambrai restaurant at Amet Haveli. The restaurant is known to serve mouthwatering delicacies for its guests to relish and pamper their hungry taste buds. Besides, at night the braziers are sets up for warmth and lamps can be seen hanging from the trees. Also known as the city of lakes, Udaipur is a beautiful city featuring marble palaces, well laid out lush green gardens and above all the serene lakes. One of the major tourist destinations of Rajasthan, Udaipur is beautifully surrounded by the ancient Aravali mountains and is flanked by three lakes on three sides. The city is also known for its temples and is visited by large number of tourists and pilgrims every year.